Many Thanks to the Volunteers of Fall 2013! 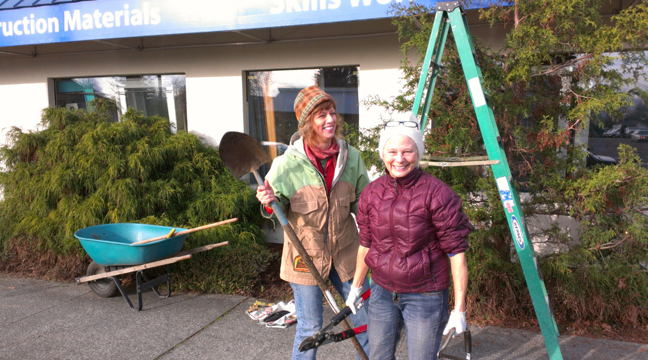 Sally Hileman and Susan Marshall (above) are regulars at the Fountain (restaurant across the street) and after sitting and sharing some coffee looking out towards our building they decided that our landscaping could use a face lift, which they swiftly volunteered to do. These ladies were a ton of fun to have around, and plan on coming back this spring to continue to maintain and add to the flower beds. The students of Professor Diane Blietz-Hertberg’s Professional Communications 318 class were tasked with studying our communications within the workplace. This project included a report about our internal communications, a Safe Lifting Techniques report, and creating a bathroom vignette window display for us. Students involved in the project: Ali El-husseini, Samantha Stahle, Jennifer Conn, and Chad Spady. Jenrri Hough (above left) is a long-term volunteer that has been awesome helping with many things around the store, and Greg George (above, right) has been our much appreciated paint guru of late. Thank you so much to these volunteers and students, as well as the countless others not named here but just as important, that have helped us in 2013 in both Bellingham and Seattle! 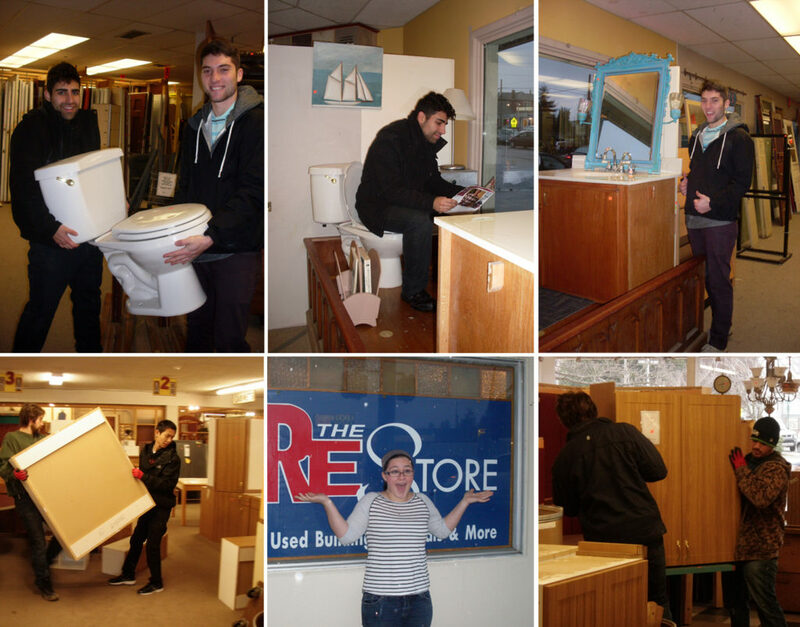 For volunteer opportunities, contact our stores here.